Reiki or Deep Tissue? 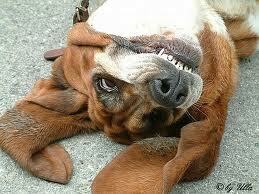 What type of massage does your pet prefer? The sections that got me interested referred to the beneficial effects on recovery and production of mitochondria. As a former competitive cyclist, I was all too familiar with the stories of doping in the pro ranks. One of the key attributes of doping is speeding recovery. Recently, I just learned of some amateur athletes that I used to race with, busted for doping. The point here is, athletes go to extremes to gain an edge. Properly trained sports massage therapists can take advantage of this and offer safe, legal “doping”. Is it like the real thing? I don’t think so! Masseuse arrested after massage not good PR but then check out their 5 star rating…yelp, gulp, burp! New from the Dark Ages (Beloit Daily News) Massage Therapists shouldn’t conduct business within 100 feet of a church? REALLY? Not my cup of tea. I am self-conscious enough just doing the poses and I never want to “win” the class! The Corpse Pose is more my speed. Unless you’ve been living in a cave, you’ve noticed that the NYTimes, Bloomberg, CNN, etc have all joined Leif Montgomery in bashing Goldman Sachs. See Leif’s post from March 6, 2012. I suggest starting a “Doing God’s Work” drawing each month. Send in your nominees or stories of charitable or good works in the massage world. One of the most common questions I get asked is: “How do I choose a massage lubricant”? Massage Lubricants are used to reduce friction, allowing optimal interaction between the practitioner and receiver. 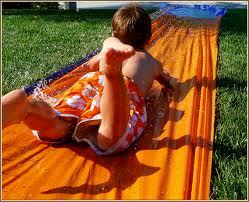 Glide: Glide refers to the amount of friction or control. On one side the spectrum you have acupressure, or trigger point work, where no glide is desirable. Here, there will be no or very little lubricant used. On the other end, you have very superficial or circulatory massage, where there will be a lot of slip, and only the top layers of tissue affected. In between those two extremes, we have the varying degrees of friction allowing deeper work into the tissue. While massage lubricants are designed to stay on the skin surface, each will have varying degrees of uptake (The Absorption Rate) into the skin. This will affect the amount of glide. 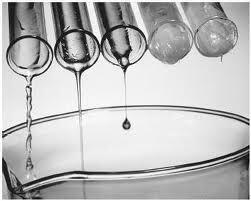 Viscosity: Viscosity refers to the thickness of the lubricant. Oil has the lowest viscosity, very liquid, and cream the highest. Within the categories of massage lubricants, there are also varying degrees of viscosity. For instance, there are thinner oils (fractionated coconut), or heavier blends of oils (Almond), as well as thicker or less dense creams. What is the correct Glide/Viscosity Factor (GVF) for you? There is no right or wrong here. With experience, each practitioner will find their sweet spot or correct GVF . You will probably hear the statement that oil is used for Swedish massage and cream for deep tissue. That is an over generalization or simplification. The fact is, many experienced practitioners use oil and a variety of lubricants for advanced or deeper massage and conversely, creams can be used for Swedish massage. You will come to find which lubricant type you prefer and learn to use it correctly to achieve the desired outcome. The modality or technique performed will determine the amount of grip/friction and glide needed. Swedish massage, and modalities focusing on circulation, require a fair amount of glide. Trigger point, Myo Fascial, and Deep Tissue require less glide and more grip. Is your massage treatment general and gliding, specific and deep, fast or slow?…… all of these questions will determine your GVF. Another factor to consider for your GVF is desired outcome. Generally speaking, the massage lubricant is secondary to the reason people get a massage from you – your hands or manual skills. The lubricant just facilitates this and is not the focus. However, there may be other considerations to ponder: the “oiliness” factor left on a client after the session, care of linens, moisturizing or skin care effects, and therapeutic properties of the lubricant. On the viscosity scale, oil is the least viscous, most liquid. Because of this, it has a high glide coefficient and is suitable for treatments or modalities requiring less friction. However, as stated above, there is some wiggle room here. Use very little oil, and friction increases. Because oil is liquid, it can be messy and easily spilled…. something to consider. Pump Bottles and Holsters can help keep your treatment space clean. 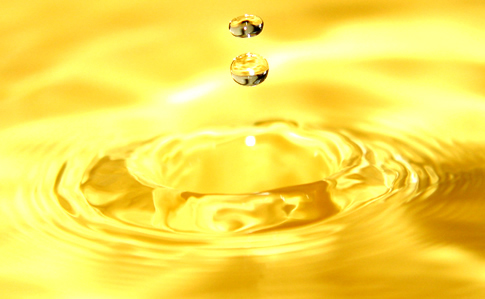 Further considerations: Because oils contain no water, they require little or no preservative. Vitamin E is sometimes added to act as a preservative, but its effectiveness in this capacity is up for debate. However, use caution. Oils can turn rancid very quickly. My nose can sense this very quickly. I have known practitioners to use oil well beyond its freshness date. The easiest way to determine freshness is to do the smell test. If it smells like vanish or polish, it’s bad. Most oils have little or no scent. Some, like olive and jojoba, have distinctive scents and you can readily distinguish between its inherent scent, and rancidity. Scented oils will make freshness harder to determine. Types: Most manufacturers produce blends of oils for massage. Read the ingredient list on the bottle to determine what’s in your oil, or see our ingredient guides on the below links. Almond (and other nut oils) – Almond oil is a common ingredient in many oils. However, nut oils as of late, have become ingredient non grata. I think some if this is unfounded and nut oil allergies are overstated. It could very well be rancidity causing the issues. Grapeseed Oil – I love the oil. It is super moisturizing and beneficial for the skin and has medium viscosity within the oil family. Please note, grapeseed oil can be very staining to clothes and linens! 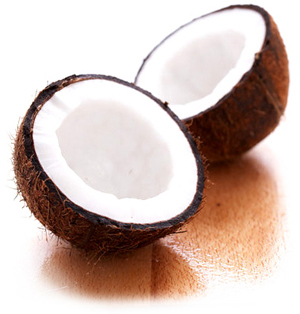 My favorites – Coconut and Jojoba. This is my preferred blend for the following reasons: they are very stable, meaning have a long shelf life (well over 1 year without any preservatives). They are also very clean was wash easily out of linens, a big bonus. Coconut Oil is solid at room temperature. Fractionated Coconut Oil is the liquid form of coconut oil. This is, in fact, a much more desirable form of coconut oil, because it is much more stable than regular coconut oil and retains a higher percentage of its anti oxidant properties. Technically, this is achieved by removing almost all the long chain triglycerides present in the oil (which is the least stable portion prone to oxidation), via the safe process of hydrolysis and steam distillation. Jojoba Oil is actually a wax ester, not strictly an oil. However, it has the appearance and viscosity of an oil, so we refer to it commonly as such. Pure Natural Jojoba (pronounced ho-ho’ba), is a botanical extract derived from jojoba seeds producing the pure liquid esters. Because of its oxidative stability and complex structure of long chains of fatty acids, Jojoba is the ideal lubricant for massage and skin health. Coconut and Jojoba, like my favorite beer and coffee, are also more expensive than standard oils. My pick, which includes both Coconut and Jojoba, is Pure Lite Oil by Solace. Gels are a very popular lubricant choice for many practitioners. Gels are produced by starting with an oil and adding a wax base, producing a thicker oil with a higher viscosity. Proponents of gel claim it has glide of an oil, with the workability of a lotion. Treating dry skin or working through hairy skin may benefit from the use of gels. Popular gels include Biotone Advanced Therapy Massage Gel the original and one of the best is hypoallergenic and Bon Vital Original and Naturale Massage Gel with added botanicals. Biotone Healthy Benefits – their latest, it’s new. Send me your feedback on it! Lotions take us up the viscosity scale and also introduce the use of water into the equation. This has the following ramifications: Water and Oil do not mix – necessitating the need of emulsifiers, stabilizers and similar substances. Preservatives – when you add water, unless you plan on using it quick or freezing it, you must add a preservative, or else you will produce a science experiment like in high school. Remember those? Lotion, while more viscous than oils and gels, are all easily pumpable, whether from the Gallon jug or 4 or 8 oz bottles. There are many lotions on the market. All will have similar viscosity, but the texture and feel will be slightly different across the board. A lotion’s overall characteristics will be determined by how the manufacture creates the water/oil emulsion, via the stabilizing agents and ingredients used. I urge you to have fun and test and experiment with lotions. Creams represent the thickest or highest viscosity of all the lubricants. When considering a cream, keep in mind that the thickest choices are not pumpable. Non pumpable creams can be applied from a jar or a tube. Many tubes are refillable for convenience. The correct procedure here is to draw from a bulk jug (gallon or half gallon) via a clean spatula or spoon, into a jar or tube. If a jar is used, it must be cleaned and refreshed for each client. Please note, for creams that are pumpable, these pumps are heavier duty than those pumps for lotion. Do not attempt to use lotion or oils pumps for cream! Nice cream to try: Sacred Earth makes a 21oz size Vegan Massage Cream with a powerful pump. Soothing Touch Massage Creams: Please note: The Gallon sizes are pumbable. The 62oz and 13oz sizes are not. Perplexing, I agree. Again, like lotions, there are countless types of cream for you to try and experiment with. Each will have its own unique overall feel. No discussion of massage creams would be complete without a discussion of Biotone Dual Purpose Cream, uh, Creme, that is, from Biotone. This is without a doubt, the standard, the original, the cream (creme) that all others are judged by. If imitation is the sincerest form of flattery, then Biotone is top dog of the creams. The shear number of copycats is mind boggling, and the tortured names to try and ride Dual Purposes coat tails is bewildering: Multi Purpose, All Purpose, and so on. I suggest On Purpose, or Tri Purpose! Anyone else have some good names? Nice job LaVelle! You get the Lief Montgomery thumbs up for clear product presentation and Biotone mission statement. However, I did catch an error. Dual Purpose does not come in 1/2 Gallon size. It is actually a confounding 68oz – 1/2 Gallon + 4 oz. Like the mysterious “Dual Purpose” definition, LaVelle, please clear up thought behind the size choice. Is it a Feng Shui thing, or maybe a metric thing? You do prefer the French creme to the more common cream. Merci. You will find a lot of labels, like Natural and Organic, thrown around on products these days. Customers make a lot of assumptions about what these mean. I have also found that it’s hard to get a straight answer from anyone on this subject. The term Natural is so broad, general, vague, mis-used and abused, to make it practically irrelevant. I recommend disregarding the “Natural” label and carefully reading the labels and ingredient list to make sure it fits your needs and expectations. The Organic label is very similar. Perhaps there will be several organic ingredients in the list, with the rest a mix of Latin and multi syllable chemical structures you might even hesitate before putting in your car’s radiator. Just kidding! I am exaggerating, a little. Just read the label please! The hypoallergenic label usually refers to products free of any fragrance, scents, or nut oils. This does not guarantee that it will not cause allergies or irritation to someone. Always test first with sensitive types. Oddly enough, we find the toughest reaction and allergy issues are resolved by using a completely unnatural solution…. Petroleum based lubricants You would be surprised at how many common (and high end!) consumer moisturizers and lotions are either petroleum based or have some petroleum derivatives in the ingredient list. The Vegan label is perhaps the most interesting of them all. Vegan? Sacred Earth is the only brand I know of spouting this label. Does this mean that Bon Vital and Biotone are not? I am familiar with Vegan in terms of food – the lack of animal products. I am pretty sure that none of the major brands we are discussing here include animal products. On this same theme, many massage lubricant manufacturers advertise that they do not test their products on animals. I find this hard to believe. I get lots of samples of massage oils, lotions and cream in my travels. I take them home and always test it on my dog first. And she LOVES IT!!!! So listen up manufacturers, you have it backwards. Label it, Certified Massage tested on animals and they LOVED IT! You can thank Leif for that. The specialty lubricants I am referring to are the ones creating heat or cold sensations when applied. These will be used alone as a topical treatment, or in conjunction with massage/manual treatment. The active ingredient that creates the heat/cool effect is Menthol or Camphor or a combination of the two. The higher the concentration of Menthol, the stronger the effects. If you are doing spot treatments, higher concentration is OK. If you are including massage to the area, or even full body massage, lower concentration is advised. Please keep in mind, as I am sure you are aware, there is a smell associated with these products. Biofreeze – most common and popular. Strong, used for spot work or re sold for clients to take home and apply. I have heard it mentioned that practitioners sometimes dilute these formulas by adding to unscented lotions or creams and using as a whole body lubricant. Not my cup of tea, but some might find it useful. 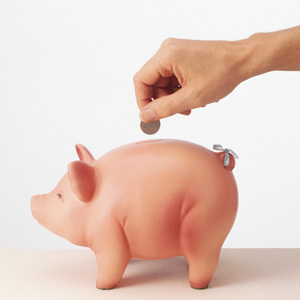 A useful and illuminating exercise is to determine your lubricant cost per treatment. I mention this because I lean toward using high quality products and ingredients. Many practitioners feel they are constrained by price. So lets do the math. The rule of thumb is 1oz of cream used per treatment. For oils of lotions, it may be a little higher than 1oz. So for a base price of $50 per Gallon of Cream, you would perform 128 treatments. This works out to around 40 cents per treatment. So lets say on the high end we use a $90 cream. This equals 70 cents. A $25 cream (I do not know any, nor do I want to!…..knowing some major ingredient/water substitution would need to be made) equals 20 cents. Using that formula and tweaking for your preferences and use should give you some perspective on the money factor. Is 40-60 cents unreasonable per treatment? As an independent practitioner, using a cheaper lubricant and saving 15 cents per treatment saves about $5 a week based on 30 treatments. If you are a clinic or spa owner, with multiple rooms, that changes the equation and you will have to decide what is appropriate. Keep this in mind, you can always advertise that you use such and such expensive formula in your treatments, sending the message that you care and are focused on the details. Conversely, you would not want it be to known, you use cheap brand X! I once heard that mineral oil (baby oil) was being used in those massage store fronts popping up all over New York and the East Coast. Why not motor oil (recycled)! If you do use a high end product, you may want to consider offering retail sizes for re sale, or give samples free if you prefer, for take home. The take home product would be an altered version of the massage lubricant, because honestly speaking, massage lubricants are not the best choice for home skin care and moisturizing (they are designed for massage). We can discuss this idea more in a later segment. I need to add this section because I find people often stumble over ounce/Gallon conversions. So we do not embarrass ourselves, let’s study the following! The combination of linens, oil, and heat can create a combustible combination during drying and storage. Use care, lower temperature settings in the dryer and read your dryers manufacturer guidelines for care of linens that have been exposed to oil. Best practices for care and cleaning of your linens. Clean your linens as soon as possible after use. The longer they sit with oil, the more difficult it will be to clean. Try not to overuse your massage lubricant, otherwise all the excess will end up on the sheets. As we stated above, certain oils are much cleaner and easier to launder out of sheets than others, lotions and even more so creams tend to collect less in linens. If you find difficulty in getting your sheets clean, consider a specialty detergent designed to work just on getting out oil. Eventually, you will have to replace your sheets. Just the cost of doing business. If they are stained and have a rancid smell, do not delay in replacing. Customers pick up on queues and make judgments based on this. You want to present your best image. P.S. I’ve heard rumors from P.E.T.A. that vegans have more fun…. Perhaps this is again a case of journalistic sloppiness, where they simply mis quoted the subject. Maybe he said, “NOT doing God’s work”, or “doing anti-God’s work”, or “I never do God’s work”. It’s preposterous that Goldman Sachs, this ineptly run, non-productive, failed business could be mistaken for doing God’s work. My kids lemonade stand is better run and has a business model light years ahead of Goldman Sachs. Remember, this is the institution that was on the verge of failure and sure to go under, because of massive poor judgment and bad bets, that called in a few favors from its cronies in the government and went from being an investment bank to a bank holding company. Any of you have a bank account with Goldman? This allowed it to receive corporate welfare and bailout money from guess who? You, gracious taxpayer. This was a textbook example of where corporate euthanasia would have been well advised. Now, back to who is really doing God’s work. I am sure you can think of much better candidates for this title. I propose you include yourself, the Massage Therapist/Bodyworker in the running. Here is a field, for the most part, given up by the medical world and physical therapists. Nobody really wants to do the hands on, manual, time consuming hard work. Most take the easy pill/drugs route, assembly line, or medical billable route. The world is starved for good old fashioned bodywork. Sometimes it can be a lonely existence, choosing an alternative career, following a passion simply to do good work. In exchange for bailing out Goldman Sachs from certain death, I propose that all Goldman Sachs employees, starting with Lloyd Blankfein, carry the massage tables for all therapists that do house calls, or do the laundry all of all bodyworkers with offices. One more thing, if you ever find yourself in doubt about your effectiveness or lonely in your work, make an appointment with a bodywork you respect, and experience how great you and God’s work is. You Don’t Need Sleep Either! I did have one glass of pure water since my last post. See link here if you missed it: How much water is enough? I now turn my attention to the matter of sleep. It turns out that my habit of falling asleep in the middle of the day is not that unusual. So while it is not accurate that you do not need any sleep, you do not need to collect it all in an 8 hr stretch. Please, add your comment and send your stories and myth busting ideas……………….